The LOL 40+ level is our recreation league and is a 40+ league designed for players with all playing backgrounds. The LOL 40+ is designed for older players, recreational players and those new to the game. You must be 40 years of age by the start of the current season. Under age exceptions are routinely made on a case by case basis. The league fee is $190.00 plus proof of 2018-19 USA Hockey Insurance. You must register at one of the evaluation skates and be paid in full to be put on the draft board. Players new to the league must skate in one of the evaluations. 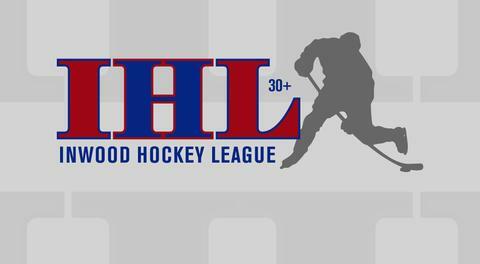 The evaluation skates are just a pick up game but the LOL 40+ league GM's are present and will evaluate each new player and assign a ranking to be used at our draft. this ensures that we have the correct player profile for each player in the draft. All players must present their 2018-19 USA Hockey insurance to be allowed on the ice. Goaltenders are scheduled for these skates and must contact Jerry Fronek before attending. Teams will be drafted in early October with games to begin shortly thereafter. For the Fall 2018 season games can be scheduled in any of these slots, one game per week with an occasional second game possible. All teams make a single elimination playoff. The league's Legend Cup Final's series is a best of 3. The LOL 40+ typically runs two seasons per calendar year but can start at three different points depending on the rink schedule. Summer season - The Summer season typically starts evaluations in May and runs through late August. Fall Season - The Fall season typically starts evaluations in September and runs through December or January. Winter Season - The Winter season typically starts in January and will run through April.